A UK government report blames last year’s riots on the participants’ “materialism and consumerism.” They couldn’t possibly have learned such anti-social values from Britain’s ruling class. Could they? A new report from the IPCC provides extensive evidence that climate change is already increasing the frequency of droughts, floods, heatwaves and other extreme events, and shows how that combines with societal vulnerabilities to produce human disasters. How did the strange idea that individual actions and capitalist markets can save the world become the dominant ideology of mainstream environmentalism? Historian Ted Steinberg traces the rise of green liberalism from the counterculture of the 1970s to the White House. 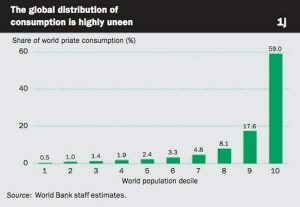 Can capitalism survive the end of growth? Book review. 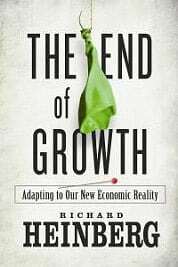 Richard Heinberg shows that if business as usual continues, life in a degrowth economy will be painful for everyone but the very rich, but he stops short of calling for radical system change. The most popular techno-fix for global warming is green energy. If energy companies would only deploy wind, hydro, solar or nuclear, then emission-intensive fossil fuels will eventually disappear. But will that work? Some things are too valuable to be assigned meaningful prices. Rather than asking the impossible question of what the ocean itself is worth, a new study asks what ocean-related costs could be avoided by rapidly cutting greenhouse gas emissions. If capitalism had been established in one small society in a small area it would consume itself in its unsustainability and cease to exist. But it is inherently global, and this is the problem. Report projects an average temperature rise in Australia of 1 to 5°C by 2070, long-term drying over southern and eastern Australia and an increase in extreme weather events such as severe floods, droughts and extreme cyclones. True generosity consists precisely in fighting to destroy the causes which nourish false charity. False charity constrains the fearful and subdued, the “rejects of life,” to extend their trembling hands. A bloody struggle in Central America shows how schemes supposedly designed to offset carbon emissions can destroy lives and livelihoods in the world’s poorest countries.